Pregnancy is one of the most exciting and difficult experiences in a woman’s life. 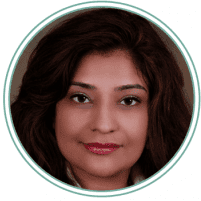 As a mother herself, Dr. Smriti Rana understands this process, and she provides treatment and support to women throughout their entire pregnancy. Pregnant women interested in receiving care from Dr. Rana should contact Blessings OB/GYN and Women’s Care in Glendale, Arizona, to make an appointment. What happens during a prenatal appointment? During most prenatal appointments, Dr. Rana evaluates the patient’s vital signs, asks about the patient’s symptoms, measures the uterus, and answers any questions the patient may have about the progress of the pregnancy. Depending on the stage of the pregnancy, Dr. Rana may also check the cervix and perform an ultrasound. How often are prenatal appointments necessary? The timing of prenatal appointments depends on the stage of the pregnancy, as well as whether the patient is considered high risk. Dr. Rana lets the patient know how often she should visit based on her specific situation. When should a woman schedule her first appointment? After a woman has had a positive pregnancy test, she should contact Blessings OBGYN to find out when her first appointment will be necessary. Most women are able to deliver their babies vaginally. If desired, Dr. Rana orders medication or an epidural to keep the patient more comfortable. If necessary, Dr. Rana helps with the birth by performing an episiotomy or using instruments to assist. In some cases, a vaginal birth may not be possible. If this occurs, Dr. Rana performs a cesarean section (c-section) to deliver the baby. When Dr. Rana knows that vaginal delivery isn’t possible before labor begins, she recommends a scheduled c-section to reduce the risk of complications. However, in other cases, the need for a c-section won’t become evident until the patient is already in labor. Dr. Rana is experienced in dealing with high-risk pregnancies. If any complications occur during the pregnancy or during the delivery, she makes sure that patients have all of the information and resources they need to deal with the issue. In the case of high-risk pregnancies, Dr. Rana coordinates with an experienced perinatologist to ensure that patients receive the best quality of care. What can patients do to ensure a healthy pregnancy? For the best chance of a healthy pregnancy, Dr. Rana recommends patients take prenatal vitamins throughout the pregnancy. Patients should also attend every scheduled appointment and follow Dr. Rana’s instructions carefully.